The weather forecast for Frisco, Texas, today, is showers upon the residents, particularly Dallas Cowboys fans who could have used such showers of blessings during the playoffs. Still, tomorrow is another day for them to plan their world conquest, next year. Yet, for Ghana’s Richard Commey – 27-2-0 (24 KOs) – he has no such time on his hands. Infact, he has only tonight to fulfil his destiny at the The Star, in Frisco, TX, the Cowboys’ training facility, where he would seek to change his destiny and walk in the shoes of his more famous predecessors including HOF Azumah Nelson. Not for the first time in Texas – kayoed Alejandro Luna (then 22-0-0) in R6 in San Antonio, last March – Commey fights Russian opponent, Isa Chaniev – 13-1-0 (6KOs) – tonight, for the IBF lightweight title vacated by WBC lightweight champ, Mikey Garcia, 39-0-0 (30 KOs). Garcia would rather vault two weight divisions to vie with IBF welterweight king, Errol Spence, Jr, ( 24-0-0 (21 KOs), on March 16 at the AT&T Stadium in Arlington, Texas, than chance it against the ferocious Ghanaian slugger. It is, therefore, quizzing Chaniev – fighting for the first time outside Russia – would so brazenly step in the ring with Commey from whom Garcia took flight for a fight. Chaniev claims he will shock the world and claim the title, tonight, perhaps guided by Commey’s fortunes in a previous vacancy of the same title when Robert Easter, Jr – then 17-0-0 (14 KOs) – was adjudged the winner in a controversial split decision, at the Santander Arena, Reading, in Pennsylvania on September 9, 2016. Also, Commey was adjudged the loser in a controversial verdict against Chaniev’s compatriot, Denis Shafikov – then 35-2-1 (20 KOs) at the Tough Fight Gym in Moscow on Dec. 2, 2016. Commey’s distinguished predecessors include Ghana’s first world champion in any sporting discipline, David Kotei, affectionately nicknamed Poison, International Boxing Hall of Famer Azumah Nelson, Nana Yaw Konadu and Ike Quartey. Alfred Kotey, Joseph Agbeko, Joshua Clottey, Emmanuel Tagoe and Isaac Dogboe make up the list of Ghana’s former world champions. Perhaps, in line with that quest, Commey has since changed trainers, trading in longtime trainer, Carl Lokko, for renowned Andre Rozier, trainer of IBF middleweight champ, Daniel Jacobs. The result? Enriched by the change in trainers, Commey has improved, defensively, while unveiling a hitherto unseen explosive barrage that have upended his opposition, since. 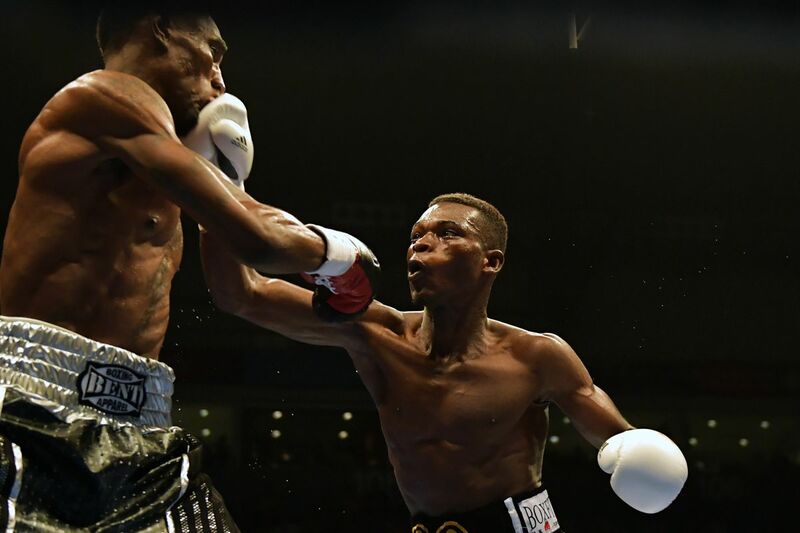 Commey disposed of previously undefeated Alejandro Luna – then 22-0-0 (15KOs) – in R6 at the Freeman Coliseum in San Antonio, Texas, on March 10, 2018. Then, Commey did a R2 demolition job on hapless Yardley Cruz – then 24-10-0 (14KOs) – at the Nassau Coliseum, in Uniondale, New York on August 4, 2018. The explosive nature of those outcomes resulted in Easter taking flight inspite of an IBF ordered rematch with Commey, instead copping a face-disfiguring beatdown by WBC lightweight titlist, Mickey Garcia, at the Staples Center in Los Angeles on July 28, 2018. Given his awesome credentials, a world champion at four weight classes – 39-0-0 (30 KOs) – it was expected Garcia would readily mount the ring with Commey, but no, that seemed like a dreadful thing he wouldn’t wish even on an enemy. Taking cue from Easter – though he had already negotiated a deal with Commey – Garcia lacked the chutzpah to sign on the dotted lines, and vacated the title on a feigned quest-for-greatness fight with Errol Spence, Jr. So, how come Chaniev is so confident? More derring-do than real repertoire of requisite skills superior than either Easter or Garcia? Let’s see what is his armada going into his most important fight to date. Ranked 3rd by both the IBF and the WBO, Isa Chaniev – 13-1-0 (6KOs) – presents a conceited boxer whose ego exceeds his abilities, having been through no battle, much less war. Chaniev is no elite fighter. At best, he is average, having only experienced skirmishes in the featherweight and superfeatherweight worlds in Russia, a good, mobile boxer, a la Hedi Slimani, a game Commey casualty on March 11, 2017 at the Bukom Arena in Accra, brandishing no amazing set of skills. Perhaps, he has a pretty good reason for avoiding the middle of the ring. In his first lightweight fight, his only loss to date, Chaniev went down on one knee to a textbook left hook from compatriot Fedor Papazov – 19-2-0 (12KOs, then) in R2 of their May 25, 2017 pas de deuxbut survived to last the 12 rounds. 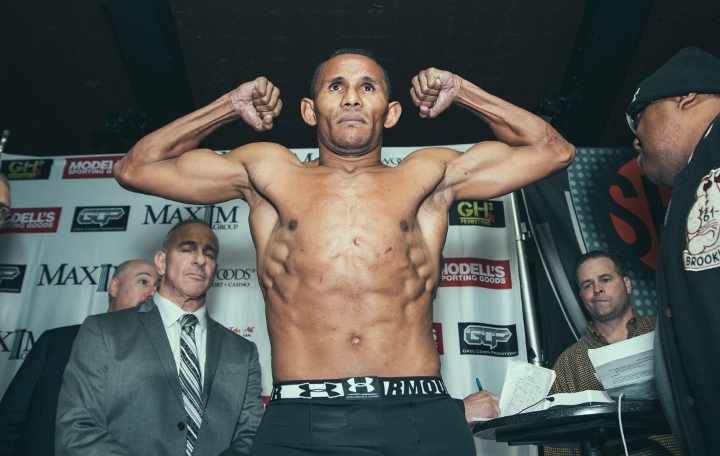 Again, against Venezuela’s Ismael Barroso – 20-2-2, (19 KOs) whom he decisioned on May 12, 2018to be in reckoning to fight Commey, Chaniev climbed off the canvas, after getting decked by a solid left hand in the opening round, and a big counter left hook in R2, to post that victory. Could anyone blame him for not favouring trading in the middle of the ring where no ropes could serve as safe haven? “Some people don’t think I will win, but they will be shocked on February 2. …, ” concludes the Russian braggart contending for the title vacated by American Mikey Garcia. Well, Feb. 2 is here! No outstanding amateur record, no known bloodline of world champions, no great desire to take the fight to credible opposition, no great combinations, no repertoire of excellent hooks or uppercuts. a: it is vacant, much like when Rances Barthelemy vacated the IBF title he captured – with an unanimous decision over Denis Shafikov on December 18, 2015 – after his only defence of it on June 3, 2018 against Mickey Bey, at which Commey was ringside. Regardless of the opposition, that makes it easier rather than going up against a defending champion, even affecting the psyche and the various layers of the fight-plan. b: Commey gets a chance to exact vengeance on Chaniev to avenge what most perceive as his robbery by Team Shafikov in his eliminator loss to the Russian in Moscow on Dec. 2, 2016.
c: Even more importantly is the greatest motivation of a pending golden unification showdown – to fetch Commey perhaps his biggest purse, ever – with arguably the best fighter on the planet, Vasily Lomachenko – 12-1 (9KOs) – tentatively scheduled for April 12, 2019 at the Staples Center, LA. If that is no motivation, what else is? Commey has no excuse, no business whatsoever not capturing the title, tonight! He must get in war-mode, right away, apply pressure, early, and land the power shots to set the tone for the fight! Given his improved defence, his passion, combustion and ferocity from distance and close range, plus Chaniev’s glass jaw and zero power shots, ekowasmahsports.com tips Commey to top and stop Chaniev, tonight, and fulfil his destiny as Ghana’s 10th world champion, king of the IBF lightweights! That glorious outcome would lift the gloom in Ghana following compatriot, Isaac Dogboe’s excruciating loss of his WBO bantam title to Mexican Emanuel Navarette on Dec. 8, 2018, and energise the entire neighborhood of Bukom, the home of Ghana’s many ex-world champions. Historically, Commey would join the rollcall of esteemed world champions from Ghana, guarantee himself a future pay-per-view status, command millions of dollars, change his profile, livelihood, lifestyle, and spotlight Bukom, where a little kid might be so inspired to pick up the gloves and also become a world champion, in future. What better motivation to get locked in and get it done, tonight, in spectacular fashion to make the Loma showdown a must-see? Go Commey!! Given that Richard Commey came close to this same title in 2016 when he lost on a solid decision to Robert Easter Jr, he should be the “Hungrier” boxer going into the ring. He has lots of experience at 31 with 29 bouts. I expect him to use his ring experience, his better reach and height to win this bout. A very good opportunity for Richard Commey. I am very excited about it and I know he is buzzing with this chance. Fortunately, he has another chance to prove himself and I want to believe he is up for this and will make the best out of it. 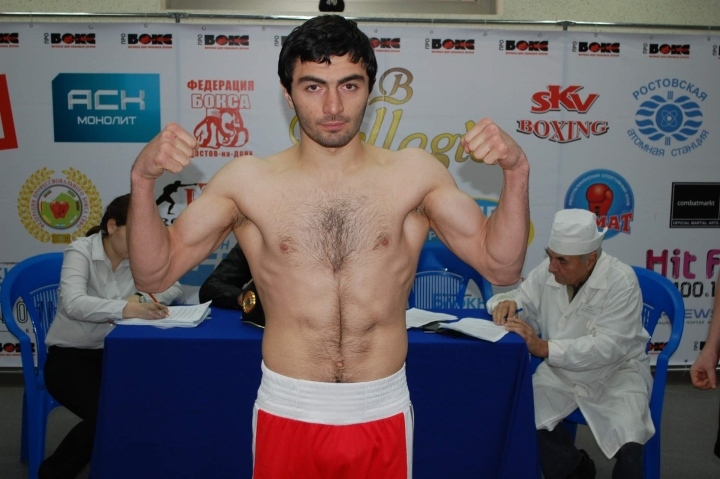 His opponent from Russia, Isa Chaniev, has lost just a fight out of the already 14 fights, going through his history. I don’t think Commey cannot win this fight, not saying he should underestimate him (Chaniev) but I think Commey should win this (world title). – Benedict Owusu, a multiple-winning sports journalist; staff of Joy Sports, Multimedia Ghana.